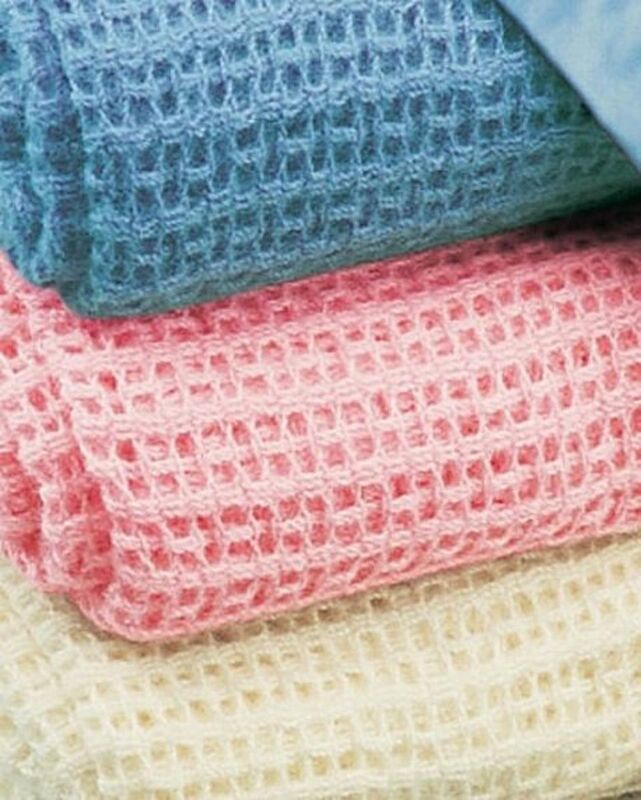 Easycare 100% acrylic cellular blankets, 250g psm. Quick-dry and cosy. Blue, Pink, Cream.